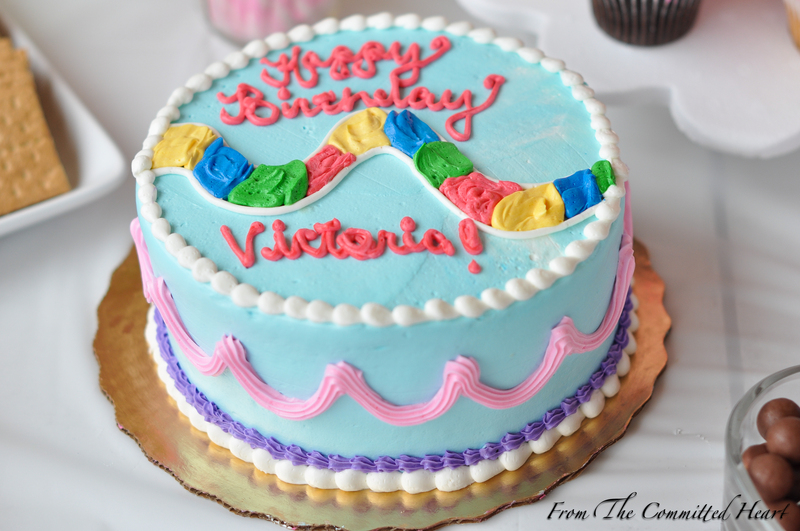 Two of my daughter’s birthdays fall within seven days of each other, so we always have their “Big Birthday Party” with family and friends, together. Then on their actual birthday, we do something special just for them. In the past, I would have them pick out their own themes. One might have Dora and the other might choose Cinderella, but this year I asked them if it was okay if I surprised them with the theme. 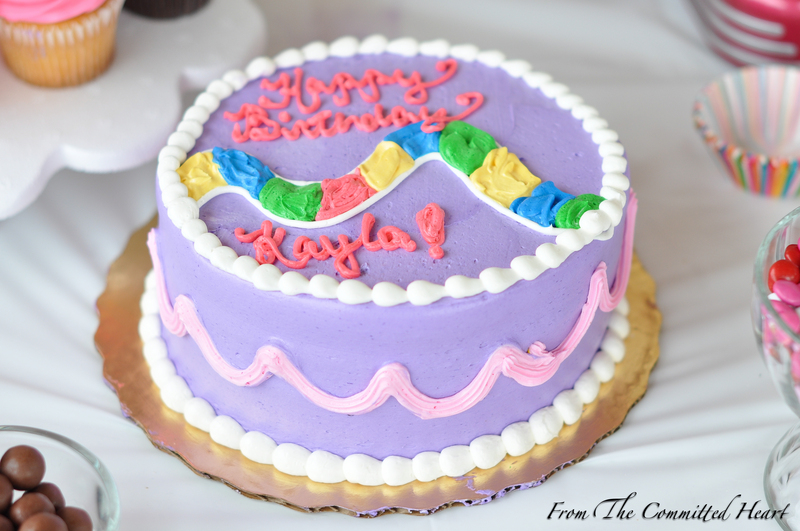 After searching around, I came up with Candy Land…the perfect theme for my two, sweet, loving girls. 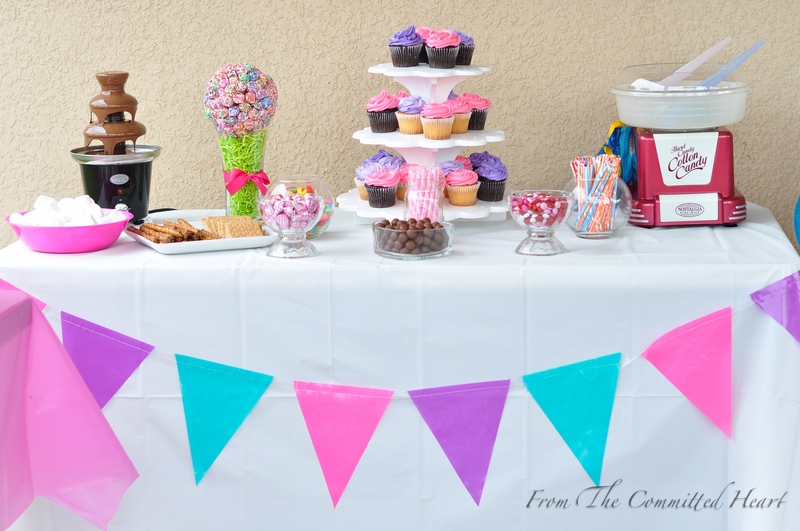 Candy Land is not a commercialized theme, like Disney Princesses or Dora the Explorer, so I had to get creative if I wanted decorations for the party. 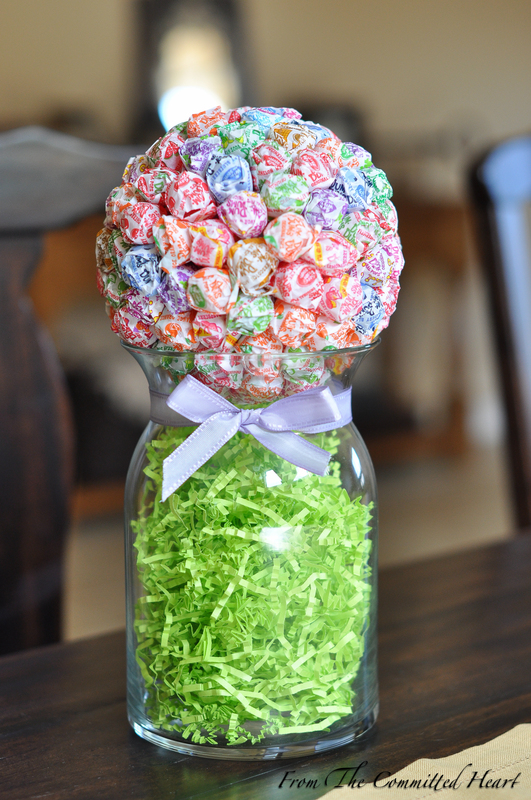 First Project: Dum Dum Pops Centerpieces. 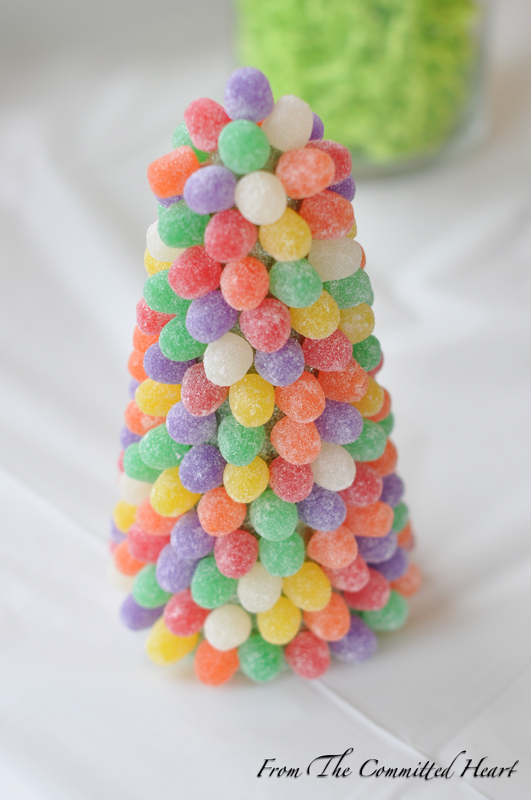 *I first cut all the pop sticks in half, then placed and arranged them from the top to the bottom. There were a couple that weren’t cooperating, so I hot glued them. *I first cut all the tooth picks in half. The top four Gum Drops I hot glued to place them exactly where I wanted them. The rest I placed a toothpick into the Gum Drop then pushed into the cone. I also made cute balloon decorations. Hellobee.com tells you step by step how to make them. Click here to go directly to the site. 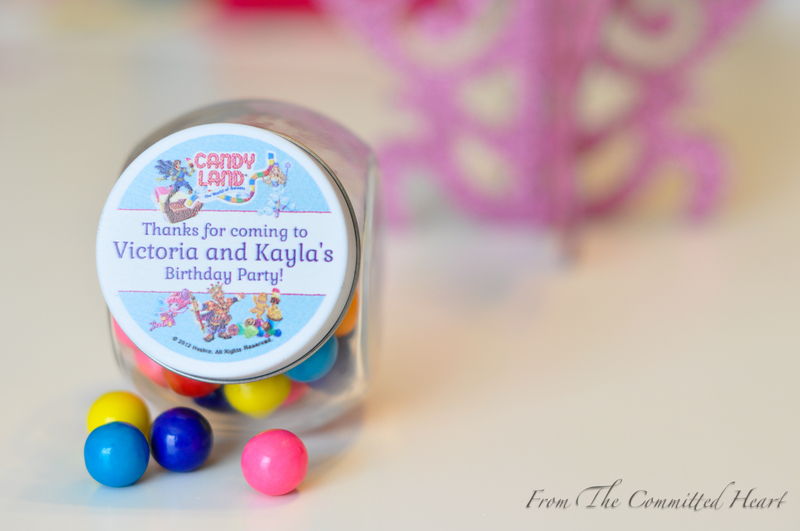 Instead of making goodie bags, I purchased these reusable glass candy jars to hand out as favors to all the friends that attended the party. *If you live in the Central Florida area and are looking for something exciting to add to your party, I highly recommend Leaping to Fun. We have used them over six years for all of our kids parties. 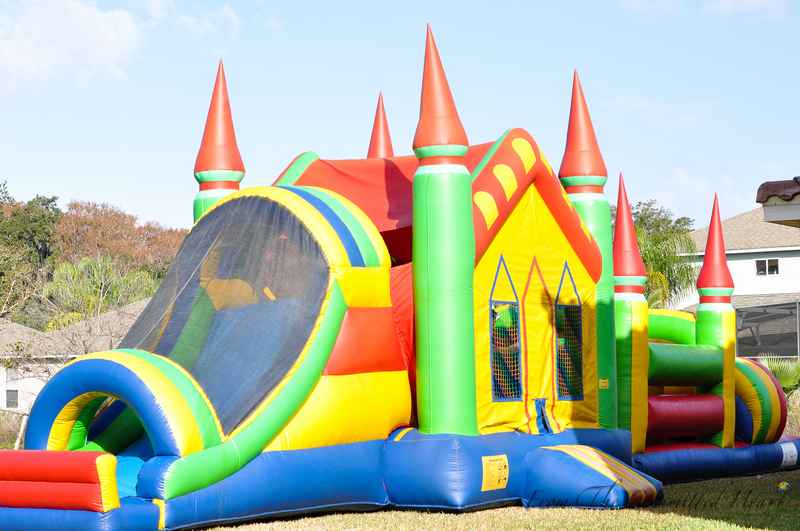 They have bounce houses, wet slides, food machines and more. For more information click here and make sure to tell them Bethany Boy sent you. 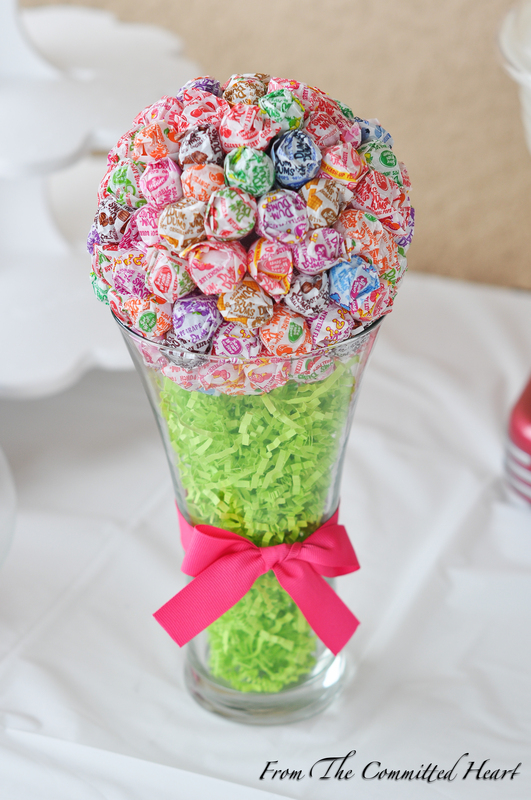 This entry was posted in Craft, Parties and tagged Candy Land Party, Candyland, Dum Dum Pops, Girls Party, Gumdrop Tree, Leaping to Fun, Party Centerpieces, Publix, Shindigz.com, Simple Candy Buffet by fromthecommittedheart. Bookmark the permalink. The Committed Heart <Liked it!